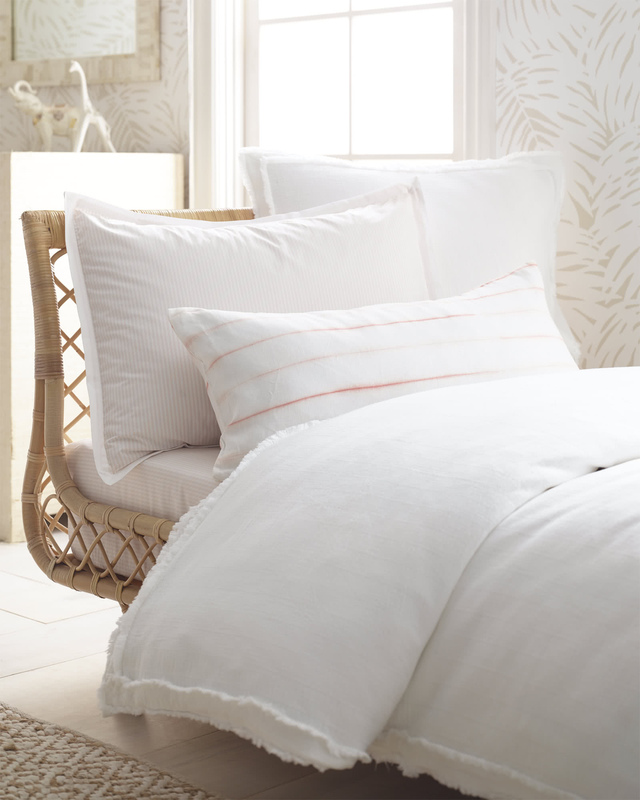 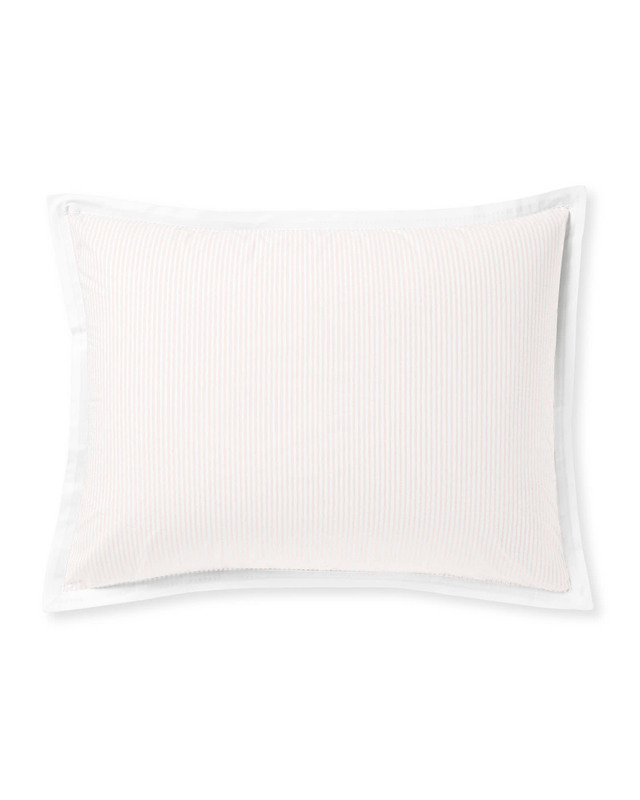 Oxford Stripe ShamsOxford Stripe Shams, Pink Sand alt="Oxford Stripe Shams, Pink Sand"
Print Our classic yarn-dyed pinstripe is woven from premium Egyptian cotton percale for a crisp yet soft feel. 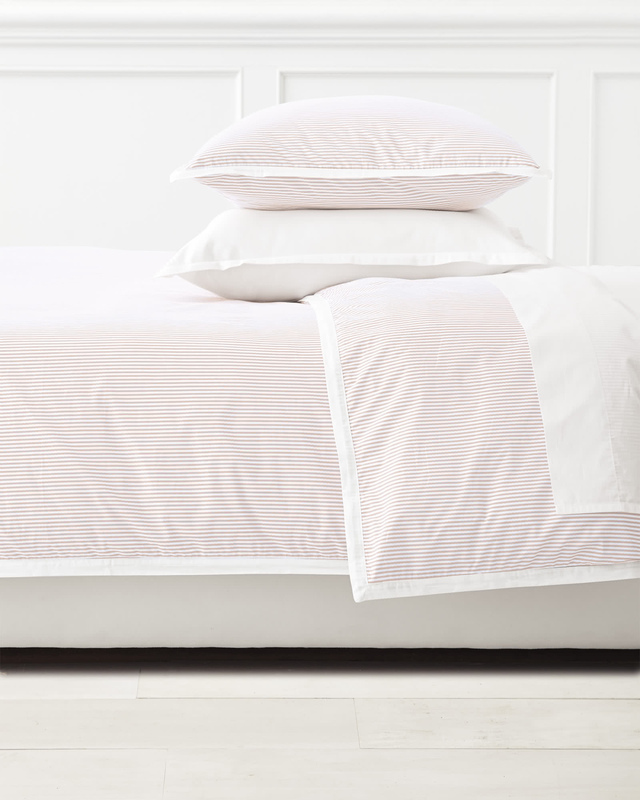 Designed to pair well with other pieces in our bedding collection, this is one of those essentials you’ll return to again and again – and a great way to change up your look without a lot of fuss. 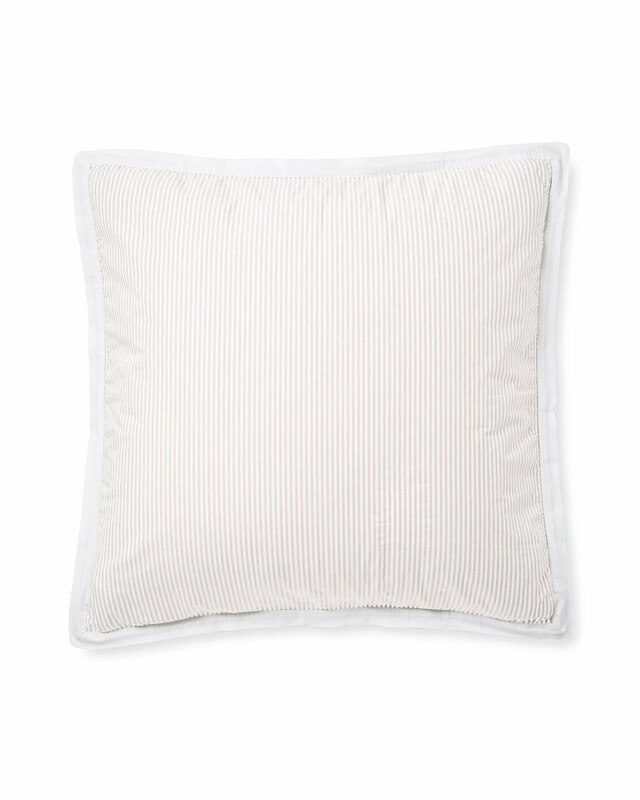 Tailored to perfection in Portugal with crisp white details and the perfect pop of color.